The Mamma Can Do It Adalynn Dress is a classic and timeless A-line style. 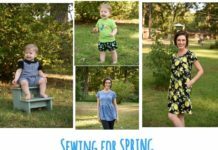 Sewing patterns are available covering babies newborn through 24 months, girls 2T through 16, women 00 through 20, and plus size 14 through 40. Wonder no more. 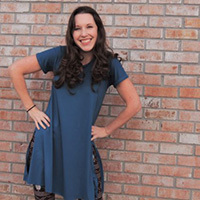 I’ve rounded up all of the pattern hacks we’ve posted on the blog for the Adalynn Dress. 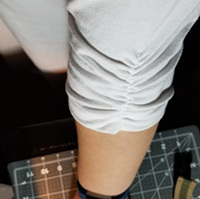 First sleeve hack: no sleeves at all. 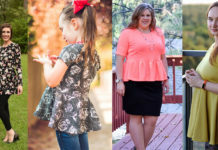 The Adalynn comes with short, 3/4, and long sleeve pattern pieces. If you’d rather make a tank dress, Mari will help you through it. You’re already binding the neckline; what’s two more? Say hello to your cool, new summer favorite. Read more. Here’s a trendy way to show some subtle skin. 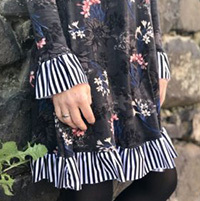 Lynsey has written a great tutorial on how to modify the original sleeve pattern pieces to create a cold shoulder look. If you’ve never done one before, you’ll love how easy this pattern hack is to execute. Read more. Add a little flounce to your frock with a flutter sleeve. Anna will guide you through just what to do to achieve this look. 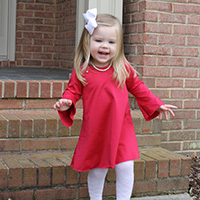 This looks particularly darling on the little ladies’ dresses, but women can rock a flowy flutter sleeve too. Try it in the same or a complimentary fabric. Read more. Mimic the A-line shape of the dress with a bell sleeve modification. Start with the existing long sleeve pattern piece and add some flare. Fear not, Mary Kaye has photographed the steps and written a beautiful tutorial. 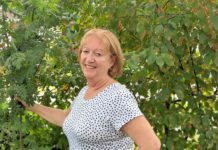 You can see from the picture that her sweet granddaughter loves hers. Read more. Combine the short-sleeve look with the warmth of a long sleeve. Natalie will show you how to get the layered look but skip the bulk. This hack can be particularly useful to make a favorite fabric go further or make use of some smaller scraps. Read more. If you’re choosing to add the hemline ruffle, a ruffled wrist could be a really great and logical addition to your dress. 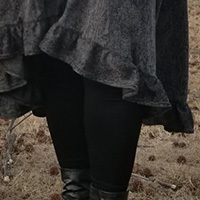 Ana will show you how to calculate the cuts for the wrist ruffle so you can copy the gather to match the look of the original dress-bottom ruffle. Read more. Maybe you’re looking to feature another fabric on your garment. Maybe you’re looking for coverage somewhere between a short sleeve and a 3/4-length sleeve. Maybe you want both. Maybe Melissa will show you how to do it. Just kidding, she’ll definitely show you how to do it. Read more. A little ruching can bring a chic, classy detail to your sleeve. Rachel took a little bit of 1/4″ elastic and made a quick modification to the existing 3/4-length sleeve. This small change can take your simple swing dress up a notch on the style scale. Read more. 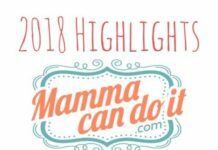 Breastfeeding mammas, your requests have been answered. 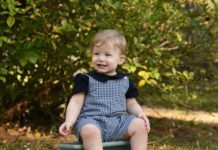 Laura has written a guide to modify the original Adalynn pattern to make it nursing-friendly. 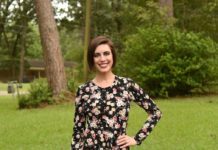 She uses a bust overlay method to create easier access to breastfeed from this comfortable dress (that’s also postpartum-friendly). Read more. 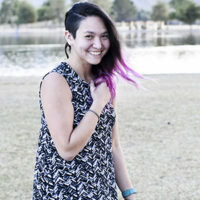 Sometimes you may just want a longer top instead of a full dress length. 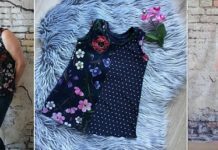 Take the impeccable fit of your new favorite dress pattern and turn it into a top that’s the perfect length to layer over leggings. Diane will guide you through the tunic transformation. Read more. Who ever said that a side seam needed to go all the way to the hemline? 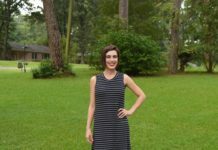 Kelsey shows us how to modify the Adalynn into a tunic length with an open-side from the hip to the hem (or higher if you wish). 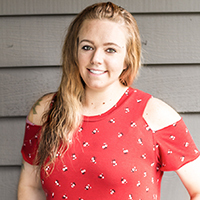 You’re sure to feel extra light and breezy in the top you make from this hack. Read more. A great way to make the most of your scraps is to try colorblocking: break up solid pattern pieces into two (or more) smaller pieces. 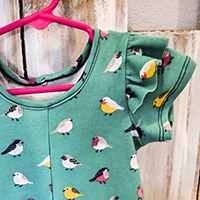 If you’ve never tried this technique before, Kim will show you step-by-step how she created this look on the girls’ Adalynn pictured here. Read more. Spice up the hemline on the Adalynn dress by altering it to be higher in front and lower in back. Sonia will guide you through her process for adjusting the body pattern pieces in order to make this easy adjustment. 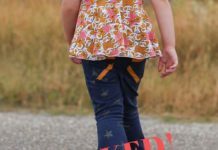 You can use this hack with the ruffled version as she did or apply it to a standard hemline. Read more. 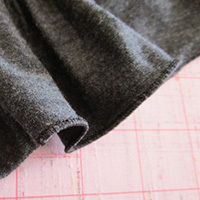 Harness the power of your serger for a quick and clean rolled hem finish. 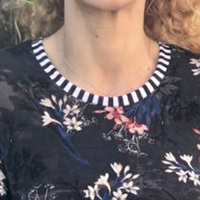 Depending on your fabric selection, this can give a softer, lighter edge to the bottom of your dress as compared to the typical foldover hemline. If you’ve never tried this technique before, Lisa will get you hooked. Read more. We have great instructions for the original neck binding, and there’s no reason to be scared. 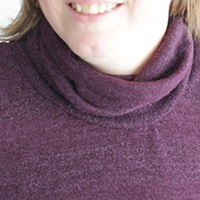 If you’d like to try a little different look, though, a neckband is a really simple swap. 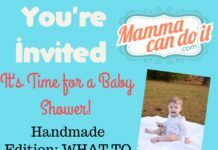 It can also be a fun way to feature another fabric. 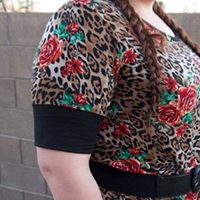 Ana will walk you through the process of cutting and attaching a great-fitting neckband. Read more. 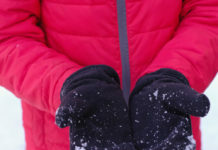 If you’re thinking about wearing your dresses year-round, you might be thinking you’d like a little extra insulation. How about a cowl neck? 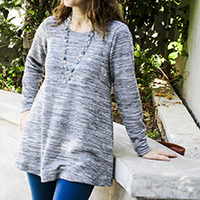 Bonnie talks you through her process for replacing the neckline with a casual cowl. Read more. 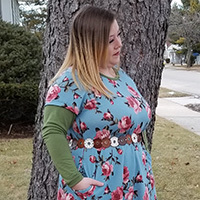 If you still haven’t purchased this clearly very versatile sewing pattern, the Adalynn Dress is waiting for you. Which hack(s) do you most want to try? Is there another hack you have in mind but need some help executing? Leave a comment below.